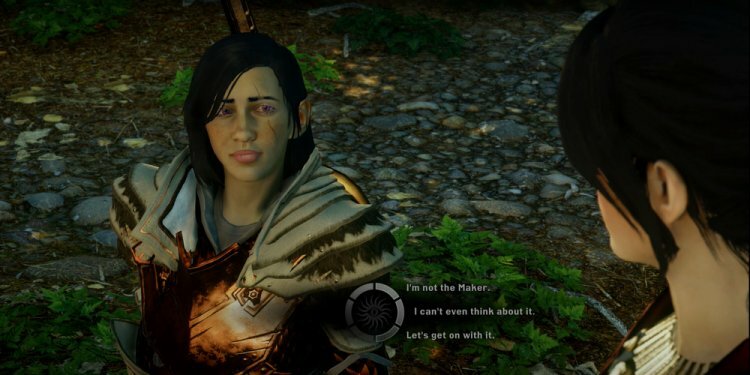 Really, today I stumbled upon my very first god-mode glitch in Dragon Age: Inquisition multiplayer’s brand new Dragonslayer DLC. This bug gives Zither the Virtuoso mana that never ever depletes, meaning you'll spam his capabilities infinitely without waiting to recharge. This means countless buffer and endless fireball assaults (fire chord). It essentially started about 5 minutes into circular 5 resistant to the large dragon on Threatening. My Virtuoso had been degree 11 and I also was basically simply running around using the trebuchets regarding the chart (dicking around while my staff ended up being battling the dragon – sorry men!) … then I noticed when I was knocked down while turning the trebuchet that I experienced infinite mana. No clue the causes of this glitch or how-to duplicate it, you could be damn sure I’m gonna figure it. This is the first of use glitch I’ve seen and reminds myself of countless missile glitch on Mass impact 3 multiplayer. Has this glitch occurred for you, and have you any idea just how to do so purposely? Let everybody understand in commentary!